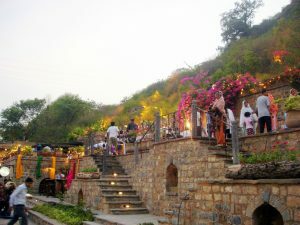 Saidpur Village is one of the best tourist attractions in Islamabad. This Mughal-Era Village is situated on the slopes of the beautiful Margalla Hills. The village has the footprints of various civilizations including Ashoka, Mughal, Buddhist, Greek, and Gandhara. It also has strong footprints of the colonial period. Today, this village is very well preserved and is a popular recreational spot for the local as well as the foreign visitors.